Today's compulsory PlayStation 3 news item is, for once, of the pleasant variety. It concerns a Sony announcement that something connected with the troubled console is set to be cheaper than expected in the UK. 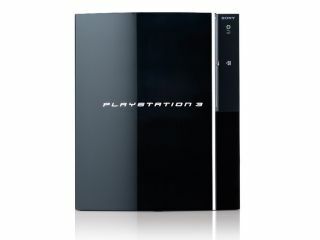 Sony UK made public yesterday the prices for the first lot of PS3 games, pleasing many by revealing that they would sell for £39.99 each - that's the same price that Nintendo Wii games command. Previous speculation had led us to expect games closer to the £50 mark at which Xbox 360 titles sell. Although the pricing covers only the first five releases (MotorStorm, Resistance: Fall of Man, Formula One Championship Edition, Genji: Days of the Blade and Super Rub'a'Dub), it seems unlikely that later standard releases will cost more. Downloaded PlayStation Network games will be available for 2.99 euros (£2) to 9.99 euros (£6.70), while GranTurismo HD will be free for all. Lastly, 0.99 euros (66 pence) will secure game add-ons, such as vehicles for MotorStorm, although these prices are liable to change after the introductory period.